The Father has prepared a feast for us so that we may be satisfied by his loving provision. But there are two things that can get in the way of our enjoyment of his banquet. We may consider ourselves so righteous that we are unwilling to avoid our religious works long enough to enjoy the feast, or we may be so caught up in ourselves that we distance ourselves from God’s gracious care. There is only one answer in either case. Like the tax collectors and sinners and the prodigal, we must draw near to the Father. The only way to do that is through his Son. Jesus is the way through to the Father. Only he is the way, the truth, the life (John 14:6)—the narrow path home for all prodigals and sinners. Any other route leads to ruin and death. 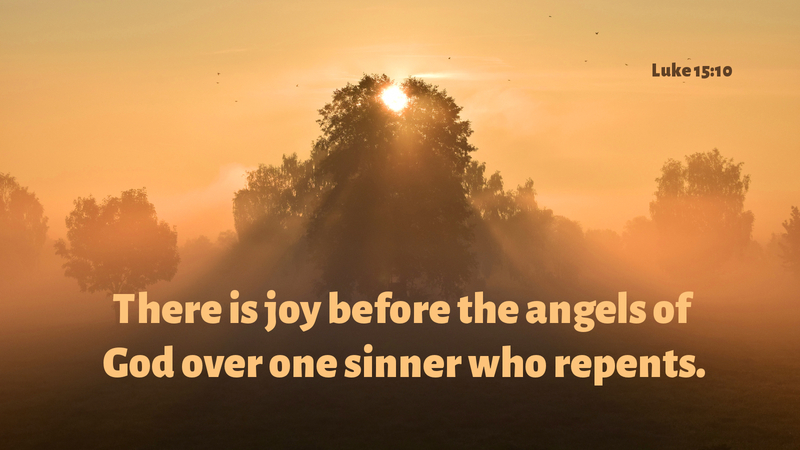 Yet there is great celebration in heaven when a sinner calls on the Father through faith in the Son. For, while that sinner had been dead, he is now alive; where he had been lost, he is found. Come home to the Father to the feast who is Christ himself. May his Holy Spirit guide your journey. Prayer: Thank you, Father, for patiently waiting for me. Amen.